Continuous monitoring of phase current and voltage fluctuations in fault-prone environments is essential for motor controllers. 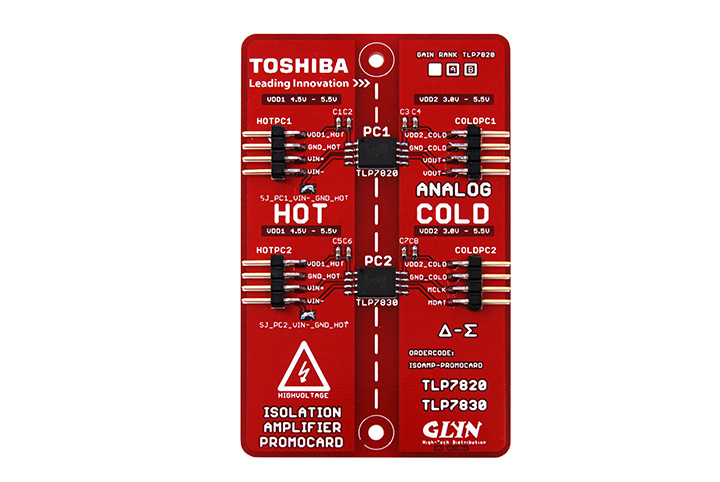 TOSHIBA offers accurate isolating amplifiers to facilitate current and voltage measurement for this purpose. The integrated Delta-Sigma A/D converter registers even the smallest currents and voltage fluctuations with high accuracy. Operating temperature range from -40 to 105 °C. You can save up to 30% space on the circuit board compared to DIP-8 versions by using the small SO8L housing. The height is also reduced by 40%. 20 kV/μs (typ. @VCM = 1 kV, Ta = 25°C). They ensure stable operation of drive controllers in fault-prone environments. The applications include servo amplifiers, power inverters, power supplies and photovoltaic power inverters. 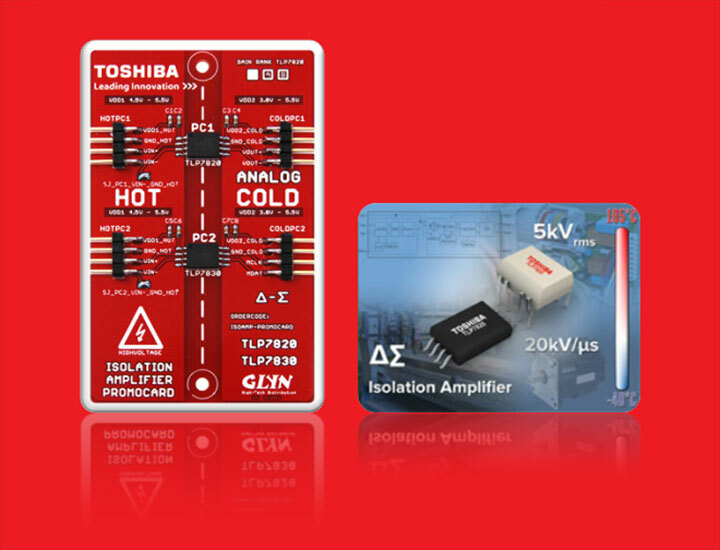 Try the new TOSHIBA isolating amplifiers directly on a "live" applications. GLYN developed the Isoamp promotion card for that purpose. The pre-equipped circuit board in compact EC card format is ready to use. It can be directly connected to your application or test structure. The Isoamp promotion card will be available from March 2016. Then reserve a free sample of this promotion card right now. To do so, please sent us an e-mail with your contact details and the planned application.